After two mailings I finally got the right cup. Just wish I had it on time for Valentines Day. My cup arrived on time and exactly as advertized. I love it! 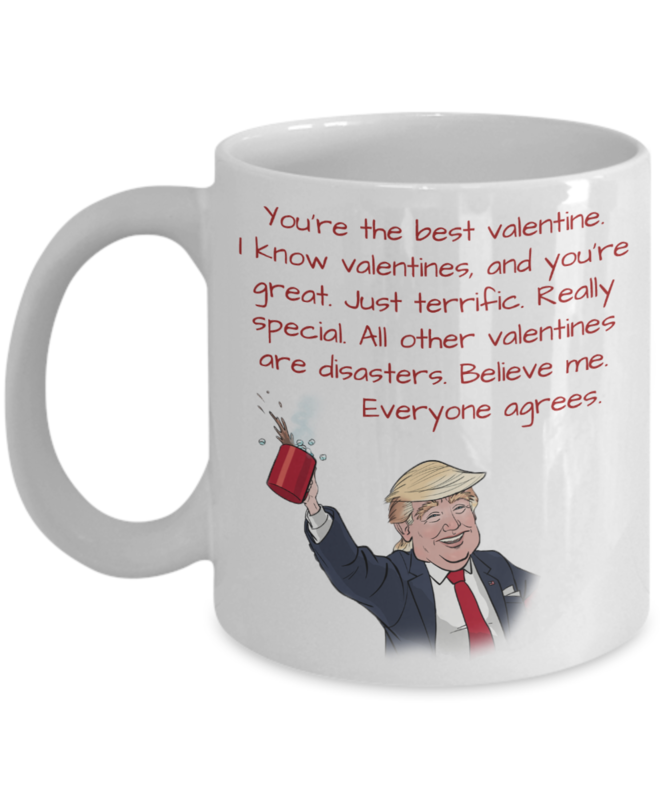 This is the 4th Donald Trump mug I bought from gearbubble.com for my brother. gift! He loved it!! Trump 2020!!! My husband LOVED it! WE both chuckle over the message and the image of President Trump. Its a great gift. It was AWESOME!! And...it was shipping in a very timely manner. Much appreciated!! Sometimes it is hard to buy a gift for a man that has everything. So this was perfect. 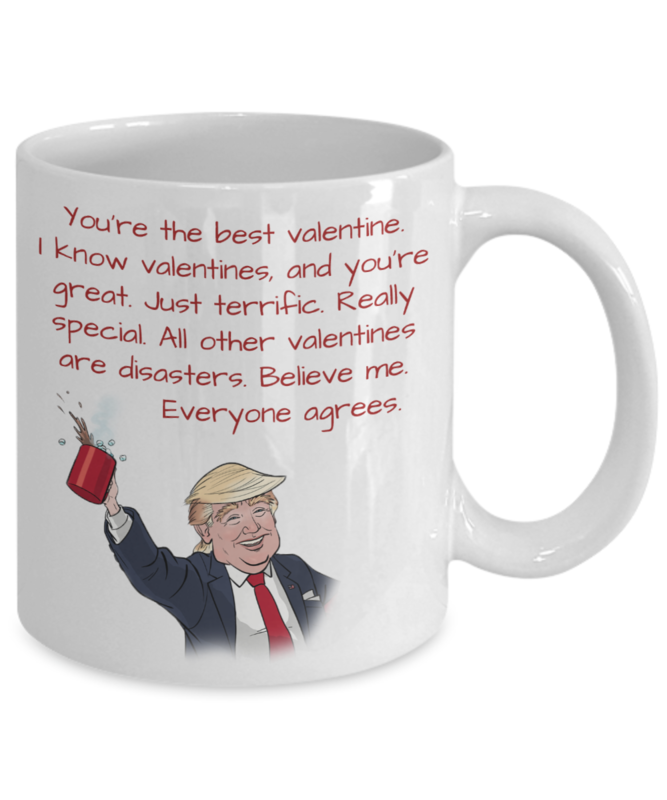 Being Trump supporters, I love it, and know he will too, when I give it to him on Valentine's day. Love this cup! So cute, and funny. Arrived within 5 days, very cool.